MRE's, or "Meals Ready to Eat", are 2 course, shelf-stable, ready-to-eat meals developed by the US Military to feed soldiers in the field. They are the most technically advanced food in the world. 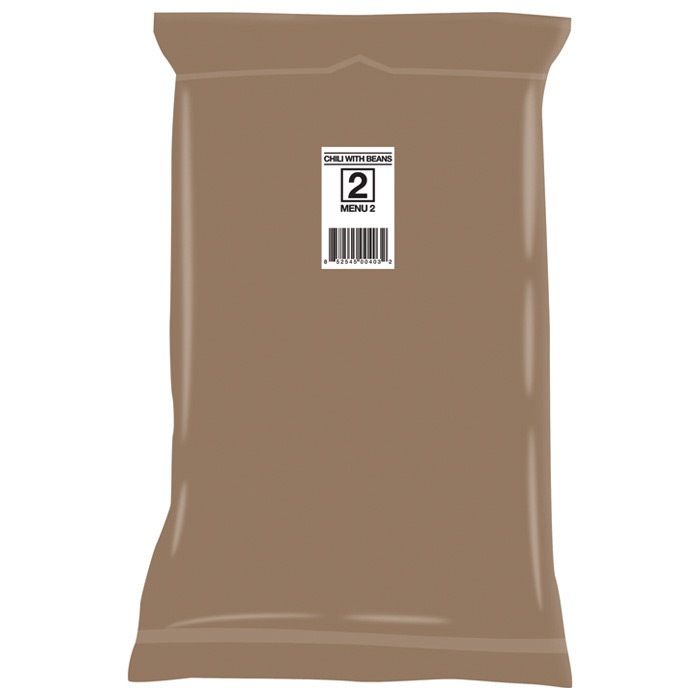 Each MRE includes an entrÃ©e, dessert, and beverage mixes. Each MRE also contains an accessory package of coffee, condiments, a napkin, and a spoon. The retort pouch is made of a strong, layered combination of polyester, aluminum foil, and polypropylene, which allows it to effectively seal the food. MRE's are favorites of hunters and outdoor enthusiasts as well.